What is Depilox (Moxapine) used for? 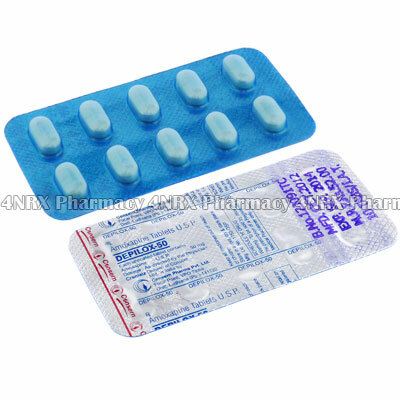 Depilox (Amoxapine) is a tricyclic antidepressant prescribed to treat patients suffering from depression. The medication balances levels of naturally occurring chemicals in the brain to reduce the appearance of symptoms such as feelings of worthlessness, guilt, anxiety, or irritability. Your doctor may also prescribe it to treat other conditions that are not listed here. How should I use Depilox (Moxapine)? Depilox (Amoxapine) is normally administered once each day at a dosage of one tablet, but your particular treatment will be determined by your doctor after observing your health condition and the severity of your symptoms. These should be swallowed with a full glass of water and can be taken with or without food, but a meal or snack should be consumed before administration if you experience nausea. Never change the form of the tablets by splitting, crushing, or chewing them as this may alter the effects of their contents. Always ask your pharmacist or physician any questions you have about the medicine to ensure the correct usage. What are the side effects of Depilox (Moxapine)? More serious side effects that may require emergency medical attention are chest pain, irregular heart rate, stiff muscles, faintness, sudden numbness, or confusion. Immediately inform your doctor about any symptoms that are intense or worry you to make sure the correct adjustments are made to your dosage to prevent more problems from occurring. Do not begin using Depilox (Amoxapine) if you have severe liver disease, irregular heartbeats, mania, heart block, recent heart attack, or if you have taken another MAOI medication within the last fourteen days. Also inform your doctor if you have a history of epilepsy, closed angle glaucoma, blood disorders, urinary retention, cardiovascular disease, decreased kidney function, decreased liver function, or hyperthyroidism as these conditions may cause unexpected complications during treatment. 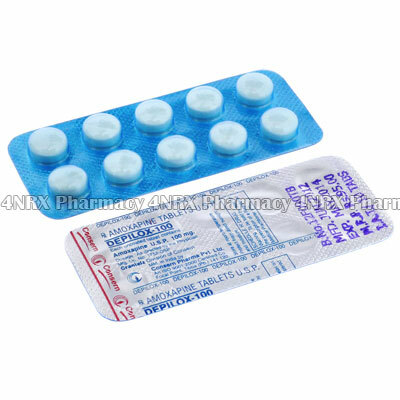 Strictly use Depilox (Amoxapine) as prescribed and follow all instructions provided by your doctor. Safe, suitable, and optimum dosage can vary and is dependent on the patient`s health and medical history, as well as the condition you are treating. Depilox (Amoxapine) may not be safe or suitable for all patients. Always ensure your doctor is informed if you are pregnant or breastfeeding, using any other type of medication (including non-prescription medicine, vitamins, and supplements), as well as if you have any allergies, other illnesses, or pre-existing medication conditions.